Traditional Chinese Medicine (TCM) originated thousands of years ago, making it one of the world’s oldest health care systems. This natural and holistic system of primary health care includes acupuncture, Chinese herbal medicine and remedial massage (An Mo Tui Na). TCM is used to treat people from a wide range of cultural and social backgrounds worldwide. The underlying philosophy of all TCM practice is that an abundant supply of Qi flows freely through the meridians of a healthy body. If this flow is blocked or inadequate, the body struggles to maintain harmony, balance and order. Pain, disease and/or illness follow. In addition to physical trauma, common contributors to disharmony can include stress, overwork, poor diet, disease pathogens, environmental conditions and more general lifestyle factors. This holistic approach to understanding normal function and disease processes focuses on the prevention of illness as much as on its treatment. Underlying conditions are treated, in addition to resolving presenting symptoms; via individualised formulae for each patient. The Cochrane Register of Clinical Trials now contains over 10,000 studies on acupuncture, with other Chinese medicine treatments such as herbs, cupping, Tui Na, Qi Gong, Tai Chi additional to this number. Evidence-based TCM practice utilises this wealth of clinical research findings in conjunction with historical writings and clinical experience to guide treatment plans. Reference: McDonald J, Janz S. The Acupuncture Evidence Project: A Comparative Literature Review (Revised Edition). Brisbane: Australian Acupuncture and Chinese Medicine Association Ltd; 2017. http://www.acupuncture.org.au | For further information, check out The Acupuncture Evidence Project | The British Acupuncture Council has also compiled fact sheets about acupuncture treatment for 60 specific conditions. The art of acupuncture involves insertion of fine sterile needles into specific locations, to stimulate the body to heal itself. Traditionally, explanations involve its effect on improving the flow of Qi to balance Yin and Yang; a paradigm of health and disease similar to the Western biomedical concept of homeostasis. In recent years, much attention has been focused on elucidating how acupuncture works in terms of Western physiology. We now know that “Qi flow” equates to nerve transmission, extracellular communication, connective tissue planes, metabolic components of blood, and the functional energy of organ systems. Acupuncture regulates therefore improves function. This is achieved, largely, via its effects on the nervous system that stimulate the body to produce chemicals that relieve pain, reduce inflammation, stimulate tissue regeneration, and induce a feeling of relaxation and wellbeing. The simple answer is “no”. Some people feel a heavy sensation or dull throb at the site of needles; some don’t feel anything. 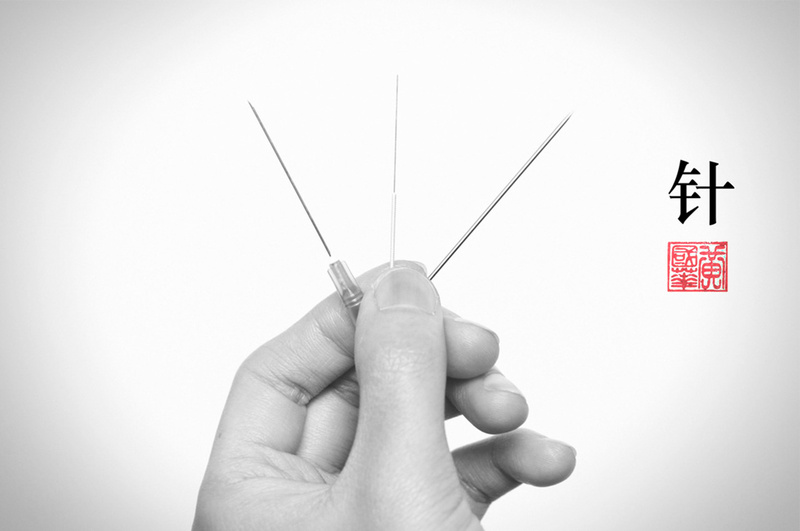 Acupuncture needles are only 0.3mm thick (or less) – about as thick as 2 strands of hair or a cat’s whisker. They have a solid body and rounded tip, designed to separate and slide between tissues. Very different to the thicker hollow-bodied cutting-tip needles that nurses, dentists etc use. This is why bleeding, bruising or sharp pain at the site of an acupuncture needle is uncommon. Yes. However, sometimes I may recommend not to have acupuncture or Tui Na (remedial massage) on the same day as other treatments that involve intense stimulation of tissues – to ensure your body’s not being over-treated. No-one wants to waste time feeling all hung-over recovering from a treatment, even if they do then feel absolutely fabulous 2-3 days later! Clients with poor energy levels or complex conditions such as fibromyalgia are the most common to receive this recommendation. I combine my gentle style of Chinese acupuncture with massage, trigger point needling (referred to by many as “dry needling”), electroacupuncture, stretching, remedial exercises, cupping, liniments, guasha, moxibustion (moxa), diet and lifestyle advice as appropriate. I am aware that many people prefer access to their practitioner throughout the entire duration of their appointment. To cater to this, I don’t book overlapping appointments, nor leave you alone in the treatment room unless you wish me to do so. At your first appointment, a thorough case history is taken prior to commencing treatment. This ensures that I can tailor treatment to you as an individual. At follow-up appointments, your progress is evaluated and the treatment plan adjusted as necessary. Tongue and pulse analysis form a part of every consultation. Cupping has been used for thousands of years in many cultures, with equipment being found in Egyptian pharoahs’ tombs as well as across Europe and Asia. There are many different styles of cupping, each having specific therapeutic applications and results. In general, cupping stimulates circulation of blood in the local tissues as well as lymphatic drainage of the region. By creating gentle suction, old blood and metabolites are drawn up toward the surface where the lymphatic system can carry it away. Fresh nutrient-filled blood is then able to rush into the muscles being treated, encouraging relaxation and regeneration of the tissues. The marks seen on the skin are not bruises. When performed by a well-trained practitioner with high quality tools, cupping does not break any capillaries. The discolouration seen on the surface is cellular debris that has been drawn up out of deeper tissues. The different colour marks indicate to the practitioner what has been going on in the deeper tissues. Generally cupping marks will dissipate within days. I most commonly work with sliding cupping, as I find it releases the fascia (casing around the outside of each muscle) more rapidly and comfortably than standard myofascial massage techniques or static cupping. It moves the Qi and Blood through tissues quite strongly, leaving the body feeling as if you’ve just had a fantastic massage, without the tired sore feeling of muscles having been brutalised into submission. Other cupping styles are utilised as appropriate to the client’s presentation. Cupping is applied as an adjunctive aspect within acupuncture and massage treatments as deemed appropriate. Chat to me about it at your appointment if you’re keen to see what results it can bring you. I only work with traditional glass cups – they’re gentle on the skin and able to be sterilised. Please be aware that swimming and exposure to cold/windy conditions should be avoided for at least 12 hours after a cupping treatment – the body can chill more rapidly than usual due to the increase in superficial circulation. In Chinese medicine, this scenario is often referred to as Cold penetrating the body due to the pores being open! I most commonly combines Tui Na with other remedial massage techniques including trigger point therapy, myofascial release, lymphatic drainage, stretching and muscle energy techniques. Trigger point needling (referred to by many practitioners as dry needling), remedial exercises, cupping, Gua Sha, heat therapies, liniments, diet and lifestyle advice may also be incorporated as appropriate. Remedial massage need not be painful. If a treatment is administered in a painful manner, the body instinctively fights the changes that are being encouraged by the practitioner. I focus more on altering the manner in which muscles are being fired and allowing tissues to release at their own pace under my pressure. Brutalising tissues into submission as fast as possible isn’t fun for anyone. The result of my method? You feel great when you get up off the table, without the battered and bruised sensation that many associate with remedial bodywork. Don’t be fooled into thinking your muscles haven’t been deeply worked though – Tui Na incorporates forearm and elbow techniques more so than any other style of massage that I’ve trained in over the years! All appointments include a short consultation and orthopaedic assessments performed as applicable. This allows a treatment plan to be tailored specifically to your health needs and comfort level. Remedial massage with me is more than just an average back massage, deep tissue massage, or sports massage! Relaxation massage consultations are minimal as these treatments aim to relax your nervous system rather than correct tissue dysfunction or reduce pain. Tui Na (pronounced tooee nah) is Chinese medicinal massage – the body work utilised in Chinese hospitals. A wide variety of manual techniques are utilised during Tui Na treatments, many of which aid in manipulating and lubricating the joints rather than simply releasing soft tissues. Techniques include rolling, pushing, pressing, grasping, rubbing, stretching, kneading, shaking, wiping, revolving, vibrating and knocking, Each technique is chosen according to its specific effects on the nervous system and local tissues. In addition to where you feel your main complaint is based, distal areas of the body are treated. This may be a combination of specific acupoints or work along sections of a channel/meridian; to better facilitate free-flow of Qi and Blood. This works a lot like turning on a hose to flush it out, not simply smashing up a blockage in the place you think it’s most likely to be! Posture, range of movement and joint function are assessed as appropriate. This enables me to tailor remedial exercises to your specific needs, so you can treat your body at home in between sessions at the clinic. Pain is the body’s way of alerting the brain to the fact that something’s not right. Defence is then mounted against the source of pain – to protect the area, like a suit of armour. So, rather than brutalising muscles into submission and potentially encouraging the brain to place a thicker more heavy duty suit of armour over the area or a related region, I aim to alter how the nervous system is firing the muscles that are giving you grief. Encouraging and enabling release, instead of trying to force it, leads to treatments that are less painful than standard remedial work; without losing efficacy. Treatment is always about you, and helping you feel as good as you deserve. The techniques and amount of pressure used are therefore altered according to where your body’s at right here right now. It shouldn’t take days to feel good after remedial massage. Tui Na treatments can be performed through clothing, towels or directly on the skin (with oil and/or liniments), according to your personal preference. Your body changes a lot during pregnancy. And as any mum knows, some of these changes can cause a fair bit of discomfort. Rather than just gently rubbing sore spots, I use remedial massage (Tui Na) to release muscles and balance the nervous system, nurturing both you and your bub. Tui Na treats more than just the muscles. This means that your pregnancy massage can be tailored to also work on discomforts commonly related to pregnancy such as nausea, indigestion and insomnia. My massage table is adjustable, and a variety of specialised pillows are always on hand. Techniques and pressure are tailored to your needs. This ensures you’re comfy throughout the entire treatment. Please ensure to book your appointment as “pregnancy” rather than simply as “Tui Na” so that I can have all the extra gear prepped before you arrive. There’s no extra cost! Why? Because you deserve to feel good, without worrying about whether the person massaging you knows how to treat a pregnant lady properly! Health fund rebates not available unless incorporated into acupuncture treatments. he majority of the treatment focusses specifically on the abdominal organs. They have muscular walls which benefit from manual treatment, just like your skeletal muscles do. The mesentery, which binds the abdominal organs in place, can develop adhesions in the same way as other connective tissues of the body. By releasing these tissues, Qi and Blood are able to flow more effectively, so a relaxing effect is felt all over the body. Elements of Qi Gong and Tai Chi are incorporated into all treatments. Breathing techniques form a particular focus, as correcting the way we draw breath on a day-to-day basis enables the natural diaphragm contractions to massage the internal organs. 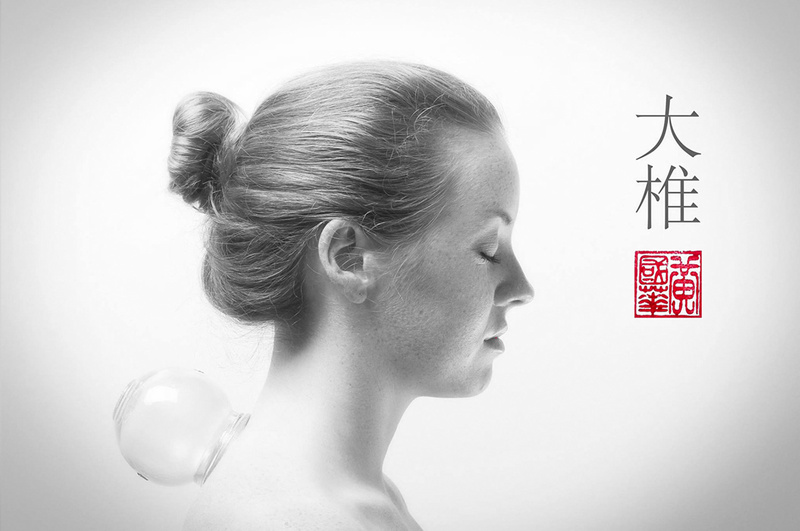 People experiencing digestive dysfunction particularly benefit from Chi Nei Tsang treatment. I also often recommend this therapy to clients who feel they have plateaued in recovery from other conditions, as improving digestive function (therefore nutrient absorption) facilitates other bodily functions. Unprocessed emotions may arise during treatments. This is nothing to be embarrassed about or afraid of. Chinese medicine doesn’t separate the physical from the emotional and spiritual. The organs that digest food are also perceived to process thoughts and emotions. Please note that I am not a counsellor or psychotherapist – Issues that arise during treatments are only ever discussed and resolved in a Chinese medicine paradigm; utilising channel theory and associated techniques to help shift blockages in Qi flow. Homework will always be given in these circumstances to facilitate self-growth between treatments. Imagine if you were asked to build a Lego house using only one size bricks? It’d be possible, but many aspects would be compromised. Expecting the body to function optimally on substandard nutrition is similar. Diet and lifestyle advice therefore also form a component of Chi Nei Tsang treatments to complement the treatments performed in clinic. Most clients find Chi Nei Tsang to be a very relaxing experience, hence why it’s offered in many day spas around Thailand as an indulgence. If you’re unsure whether to book in for Chi Nei Tsang or an acupuncture treatment that incorporates this therapy, please contact me to discuss your specific circumstances. Hot Stone is the perfect massage for when you need some self-loving time out. It takes you away to that warm happy safe place! This ultimate relaxation treatment uses warm smooth basalt stones in combination with traditional massage techniques derived from the Hawaiian Lomi Lomi style. Long, slow, gentle, and smooth wave-like motions are combined with aroma-therapeutic essential oils to melt your muscles and mind. Head and facial massage are included. The stones are warmed in water, bringing even more of this powerful element’s energy into treatment. In Chinese medicine, the Water element is revered for its power to soften hardness, to nourish the Wood element (responsible for free flow and flexibility), and its ability to control Fire. Water flows the path of least resistance, gently carving away at solid Earth that stands in its way. If your muscles are particularly tight, or you have a history of injury, cupping can also be incorporated into hot stone treatments (at no extra charge). Cupping gently stretches the tissues. So, when followed by hot stone work, the flow of fresh blood into the area increases and residual tension dissolves. You’re most welcome to arrive early or stay late, so you can relax in the tranquility of Wellwood’s gardens or the Mellow Patio outside Jay’s treatment room. To sweeten the deal, Wellwood’s kitchen and lounge area is open 7-11am & 4-8pm on weekdays. In winter, the fire’s always burning – the perfect place to cuddle up on the lounge with a book or magazine to accompany your cuppa or juice. Love what you've experienced with my unique style of bodywork? Keen to share the feel-good with someone else? Gift vouchers are available for massage treatments. Just click the button below to arrange one! Follow Jay's Facebook page to be inspired with the latest in acupuncture research, interesting articles and ways to feel better on a day-to-day basis.